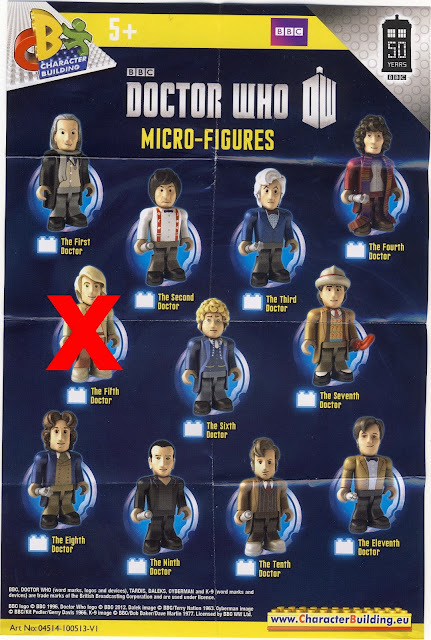 Heartbreaking Cards of Staggering Genius: More Doctor Who Micro Figures, This Time All Killer, No Filler! More Doctor Who Micro Figures, This Time All Killer, No Filler! I've opened several packs of these Doctor Who Micro-Figures [here and here] put out by Character Building but they've out done themselves with this latest set. It's all 11 Doctors, no side characters, no villains. All Killer, No Filler! [Well, I mean, there is the 8th Doctor but what can you do?]. I picked up one pack for $4.50 from the local British store here in Lawrence called Brits. Each pack comes with a handy mini-poster/checklist of each figure. 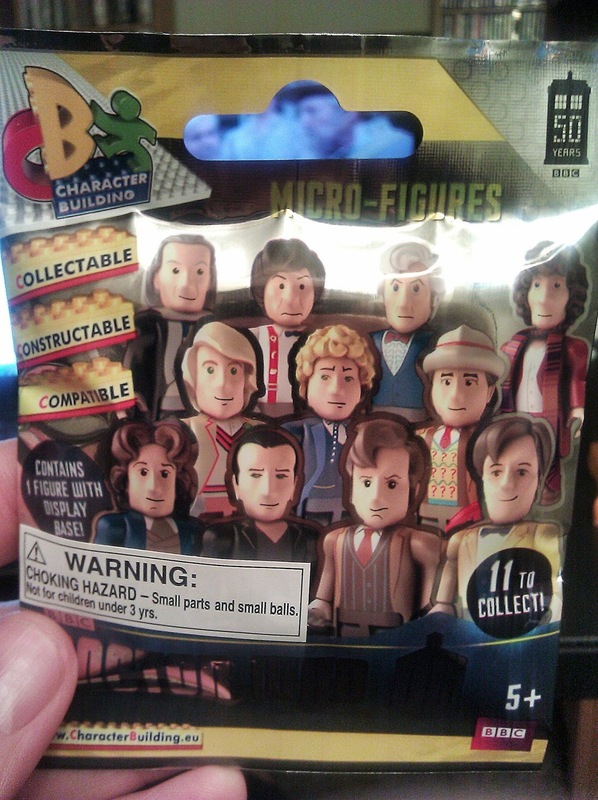 My top priority figures would be the 4th Doctor, 10th Doctor, and the 1st Doctor. Let's see what I pulled. 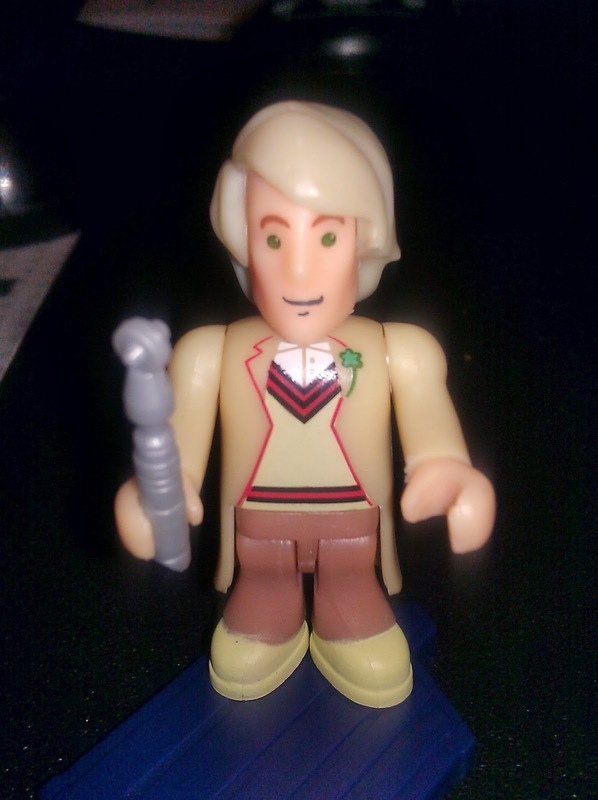 I pulled the 5th Doctor played by Peter Davidson in the early 80's. Although I don't remember exactly when I first saw the original Doctor Who series, being born in 1979 I believe it was probably the 5th Doctor during reruns on PBS. So we can cross off on Doctor from my list and I'll will certainly be back to Brits for another pack soon.